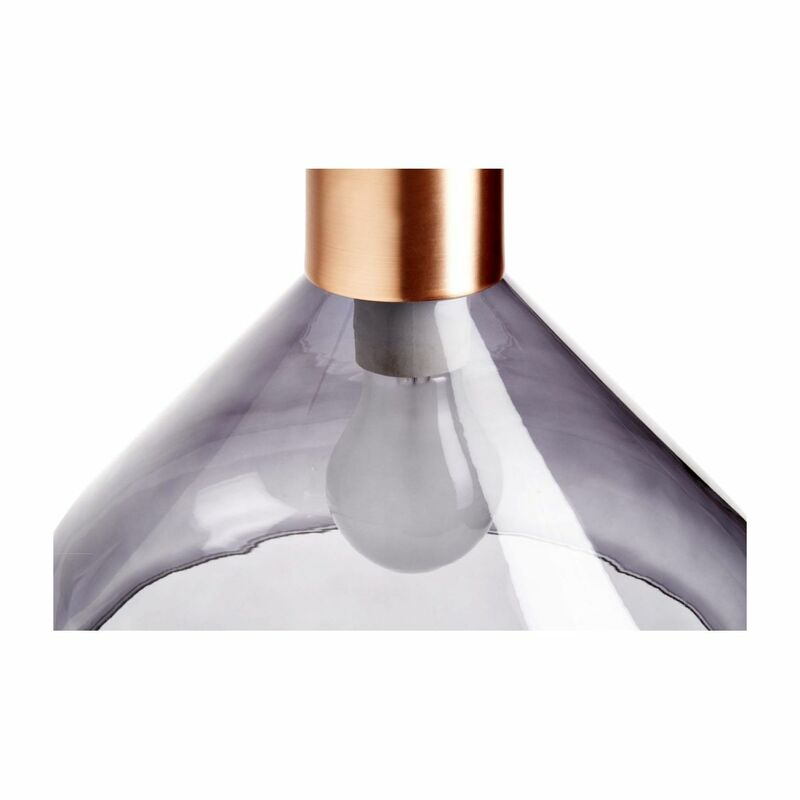 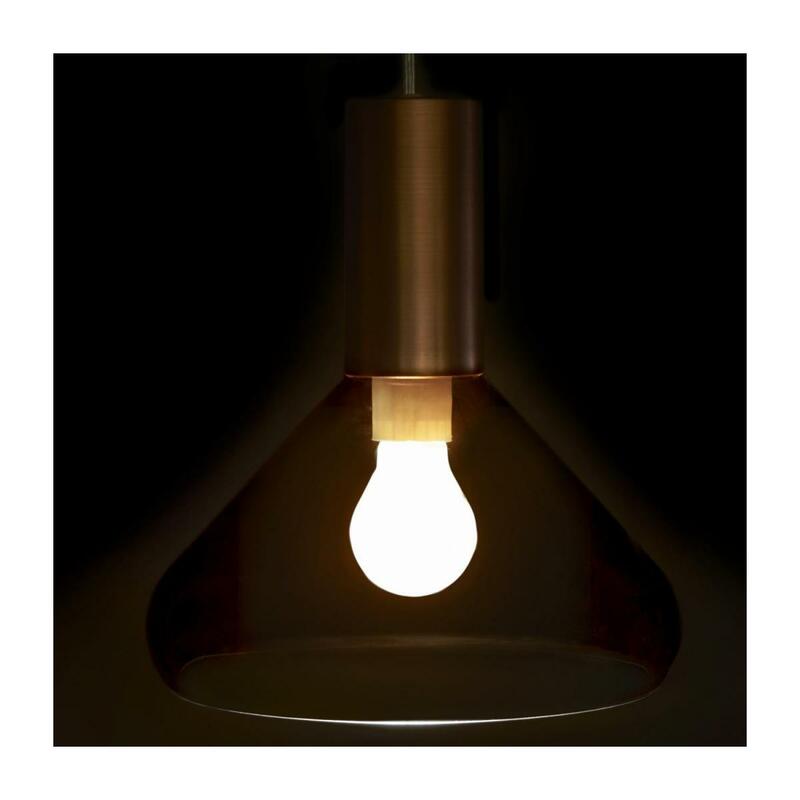 Designed by Aaron Probyn, Marlowe is a smoked glass and brushed brass lamp that lends a very elegant, industrial look. 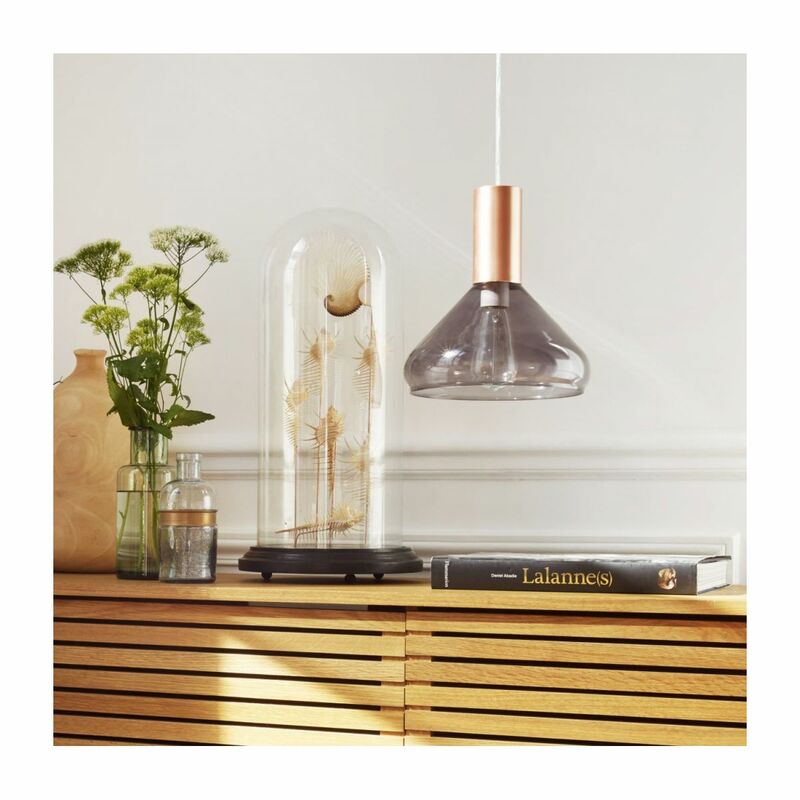 It is ideal in the living room or dining room and helps make the most of your coffee table, bar or dining table. 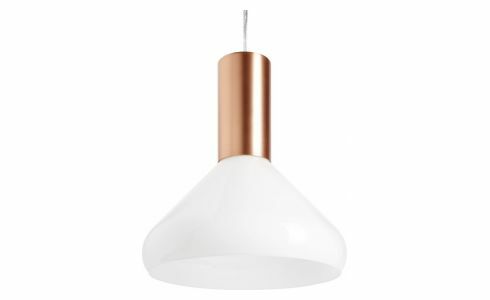 Also available as a ceiling light to create a harmonious look. 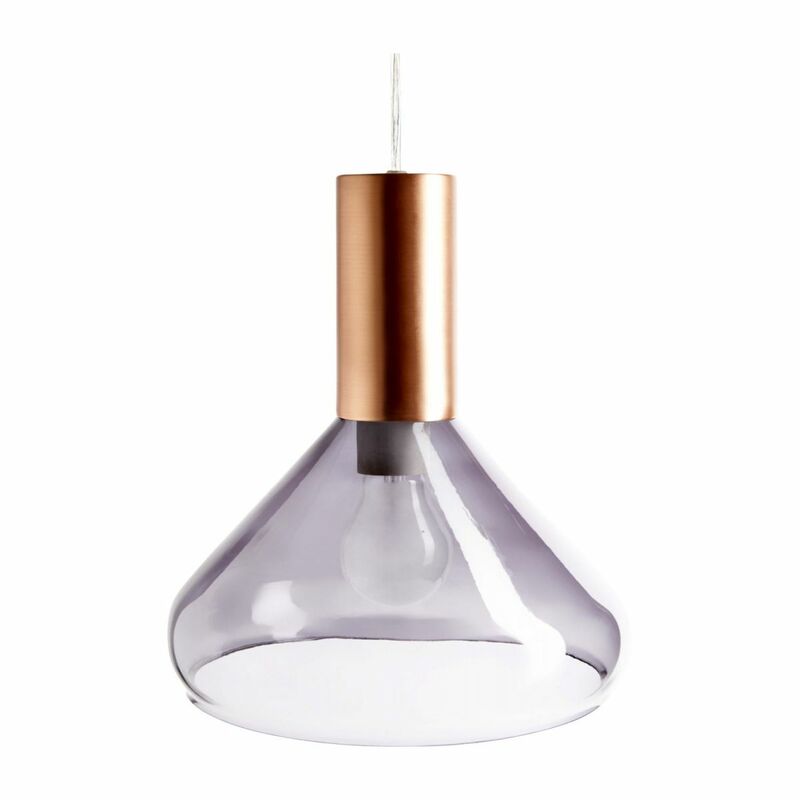 Brushed coppered steel and smoked glass. 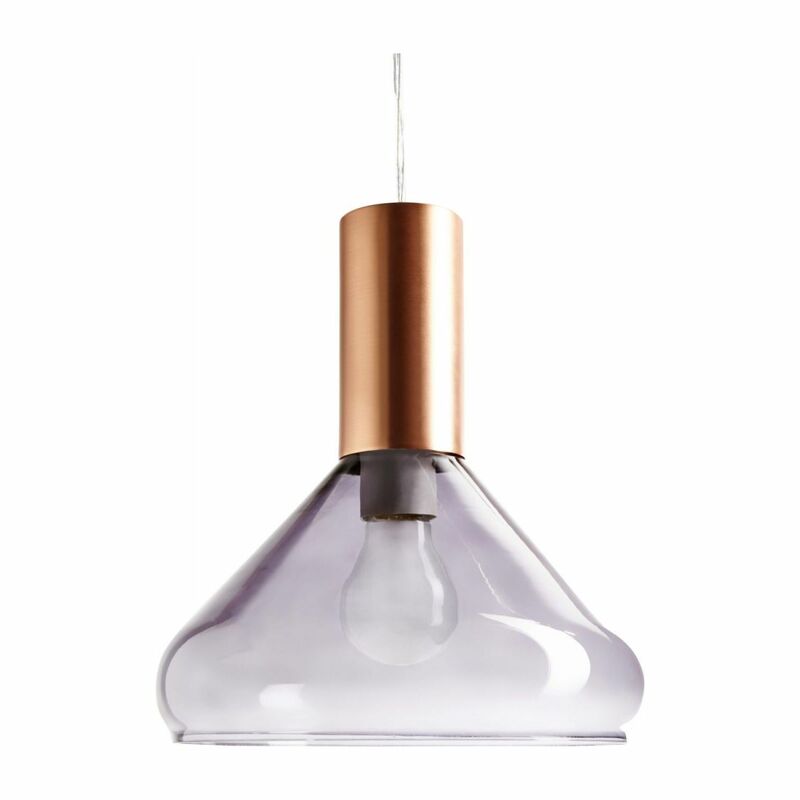 Light bulb not included: E27.